The monsters are ourselves on the other side of the screen. Beings that love as we do, but they are afraid of not being matched, because they know in advance that they will not be accepted and that true happiness is sudden and therefore a rare thing. Facing monsters is overcome fears. It’s to face the Sphinx and let her muted. According to Lutz Müller the “frightening figures of human fantasy” (demons, devils, witches, evil deities, figures and hideous monsters) cause fears and feelings of danger to the human personality. The disgust and wonder that monsters exert have been going on across the centuries. They are the very representation of the fears and dangers present in the human experience, in our evolutionary process. We all purge our fears, and sometimes, they are embodied on an iconographic form. Text reprinted from Revista Universitária do Audiovisual – O monstro, o cinema e o medo ao estranho de 15 de maio de 2012 (in portuguese). In 1922, the German film director Friedrich Murnau adapted Bram Stoker‘s work – for copyright reasons – and launches with the name Nosferatu, returning the image of the ancient vampire gruesome and ghastly previous literature, to cause a different impact. On should remember that the resources of that time, such as film, color (in this case, black and white), scenery, and production dynamics directly influenced the construction of the plot, creating the effect of psychological impact needed to characterize a movie genre Terror that is usually classified as movies about vampires. 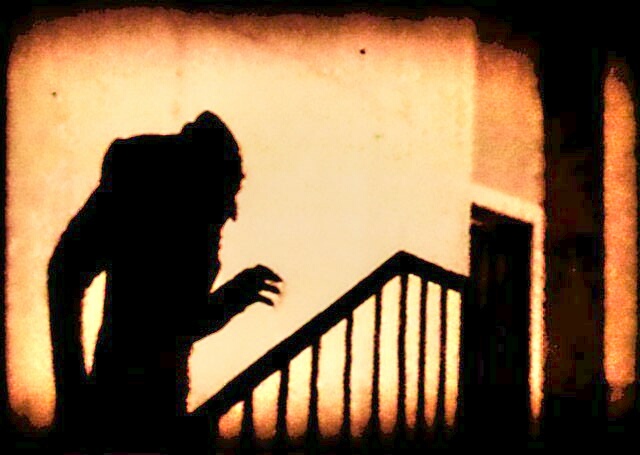 A screenshot of the 1922 film, Nosferatu. He came off the fantastic genre that included narratives about supernatural events and is now named the movies they appear vampires, werewolves, monsters, demonic possessions, etc.. Their scripts and screenplays are based on the macabre and terrorize through the makeup and special effects used from 1960. Bram Stoker created the modern vampire myth and gave the creature name: Count Dracula, Anne Rice however was the one to put the foundations for the vamps that are part of the current batch of films, television series and books; they are young, beautiful and passionate. 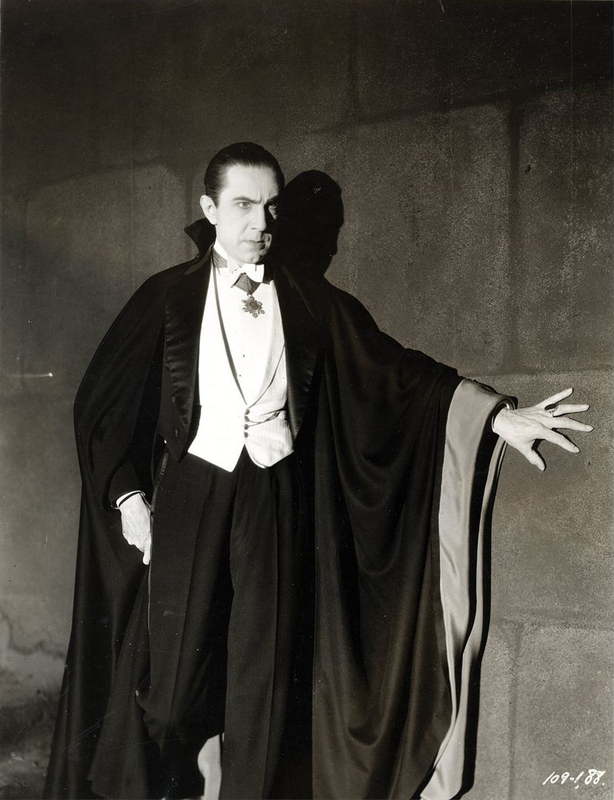 Literature and film incorporated the vampire to the modern imagination, the allure for them is rooted in its unique ability to escape death and dribble time, in most cases they maintain youth and beauty through all the eternity. Beings with incredible ability to adapt to several eras, vampires make our interest remains always oscillating between high and low levels, but never completely disappearing. The possibility of having life, eternal youth and beauty is as seductive as daunting. Free adaptation of the text published in the Electronic Journal Guari. Click here to view the full text (in portuguese). Em 1922, o cineasta alemão Friedrich Murnau adapta a obra de Bram Stoker – por motivos de direitos autorais – e a lança com o nome de Nosferatu, retomando a imagem do antigo vampiro horripilante e medonho anterior a literatura, para causar um impacto diferenciado. Lembremos que os recursos da época, tais como película, cores (no caso, preto-e-branco), cenário, e dinâmica de produção influenciavam diretamente a construção da trama, criando os efeitos de impacto psicológicos necessários à caracterização de um filme do gênero Terror que é como geralmente são classificados os filmes sobre vampiros. Os monstros somos nós do outro lado da tela. Seres que amam como nós, mas têm medo de não serem correspondidos, pois sabem de antemão que não serão aceitos e que a verdadeira felicidade é repentina e, portanto, rara. Enfrentar monstros é superar medos. É enfrentar a esfinge e deixá-la muda. Segundo Lutz Müller as “figuras amedrontadoras da fantasia humana” (demônios, diabos, bruxas, divindades más, figuras horrorosas e monstros) causam medos e sensações de perigo à personalidade humana. Os medos representados em todos os tempos e em todas as culturas são arquetípicos, “são experiências universais básicas que determinam a vivência e o comportamento do indivíduo, tanto no presente como no futuro”. 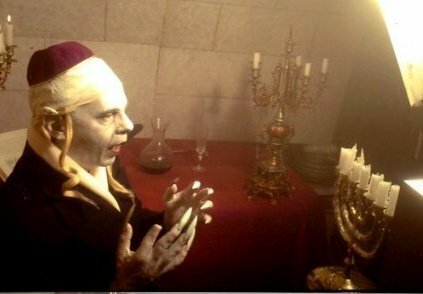 O cinema de horror funciona como “catarse programada”, purga nossos medos em segurança. Para Luiz Nazário, em entrevista concedida a revista Superinteressante, “o monstro foi banalizado pela indústria cultural e deixou de (…) ser índice de transgressão, de porta-voz da diferença. O monstro já foi uma metáfora do outsider; hoje é um objeto de consumo”. A repugnância e o encantamento que os monstros exercem atravessam séculos. Eles são a própria representação dos medos e perigos presentes na experiência humana, em nosso processo evolutivo. Todos nós expurgamos nossos medos e, ás vezes, eles ganham forma iconográfica. Texto extraído da Revista Universitária do Audiovisual – O monstro, o cinema e o medo ao estranho de 15 de maio de 2012.